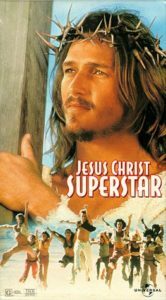 JESUS CHRIST SUPERSTAR SING-A-LONG EXPERIENCE! Good Friday, April 19 @ 6:30 pm at The Emerson (111 S Grand Ave) Call 586-5413 for more information! | Please fill out this form and click submit. Good Friday, April 19 @ 6:30 pm at The Emerson (111 S Grand Ave) Call 586-5413 for more information!